"We've got the hats, right?" 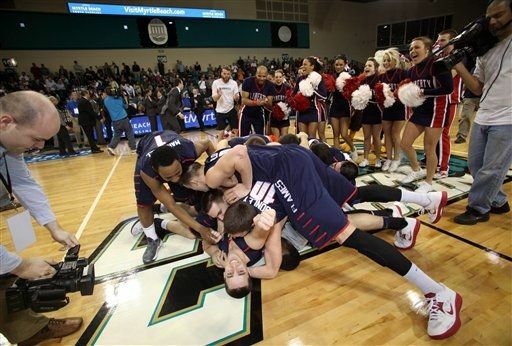 - Liberty coach Dale Layer after his Flames became just the second 20-loss team to reach the NCAA tournament after beating Charleston Southern 87-76 Sunday to win the Big South Conference title. Liberty opened the season with eight straight losses and had never won more than three in a row until this week. Yet, it joined Coppin State in 2008 as the only schools with 20 or more defeats in the field of 68. The Flames' .429 winning percentage (15-20) is the lowest for an NCAA tournament team since Oakland (Michigan) had a 12-18 record (.400) in 2005.